I'm so excited to share this pie with you guys! If any of you have ever been to Ted's Bakery on Oahu's North Shore, you'll know exactly what this pie is. I tried my very first slice back in 2008 and then basically ate an entire pie myself while I was there...I was lucky enough to be able to visit Hawaii again this past March and grab another slice of this pie. Let's just say I'm obsessed! 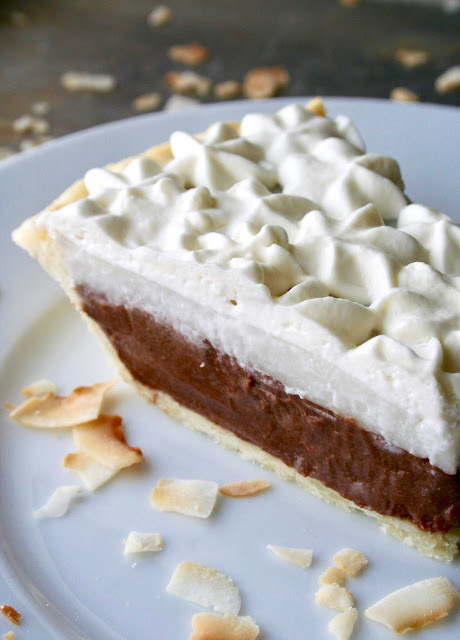 Haupia is coconut pudding and the combination of the coconut with the chocolate is out of this world! 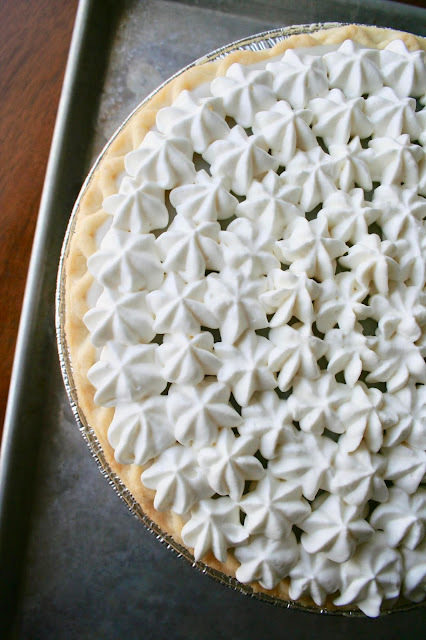 This pie is honestly so easy to make and the only hard part is waiting for it to set up! I would definitely recommend letting it set up overnight because it takes a while for it to cool down. Trust me, it'll be worth the wait! 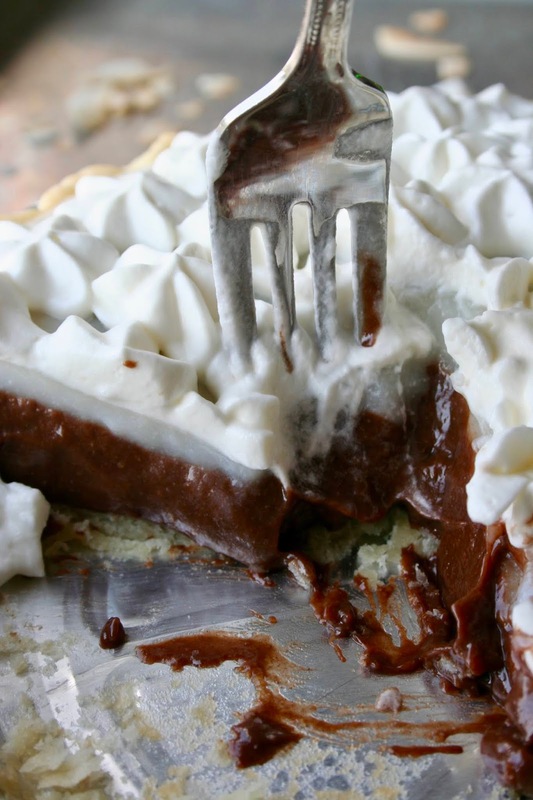 If you've never been to Ted's Bakery and tried this pie, I guarantee you'll still love it. And I dare say, this recipe makes an even better pie than what you can buy at the bakery! 1. Bake pie crust according to package directions. Set aside to cool completely. 2. In a small bowl, dissolve the cornstarch in water. Set aside. 3. In a medium saucepan, whisk together milk, coconut milk and 1 cup sugar. Bring coconut mixture to a boil. Reduce to simmer and slowly whisk in the cornstarch mixture. Continue stirring mixture over low heat until thickened, about 3 minutes. 4. In a microwavable bowl, microwave chocolate chips at 30 second intervals until completely melted, stirring after each interval. 6. Refrigerate at least 4 hours until firm, but overnight is recommended. 2. Pour heavy whipping cream, sugar and vanilla into the cold bowl and whisk on high speed until medium to stiff peaks form. 3. Pipe flowers of whipped cream on top of the pie (I used a Wilton 2D tip) or spread whipped cream smoothly with a spatula to cover the pudding filling.